DESCRIPTION: This illustration of starfish amidst a spectacular set of corals, is created using oil paints on canvas. 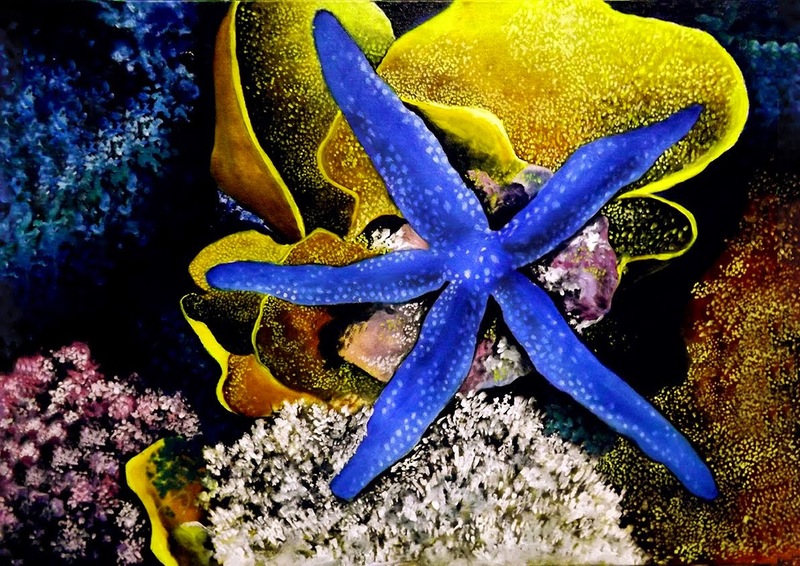 The precised detailing and the vibrant colors imitate the beauty of nature, underwater. The illustration has been completed in several layers of glazing, to achieve the desired level of vibrancy of the subject. The technique involved laying down thin transparent solutions of warm tones for the yellow corals and vibrant cool tones for the starfish. The background has been intentionally kept dark and minimally lit to bring out the subject in the focus.